Ok. I touched on this subject lightly with my skin post a little while ago. ..Don’t know if I made it clear but I hate winter. And winter hates my skin! 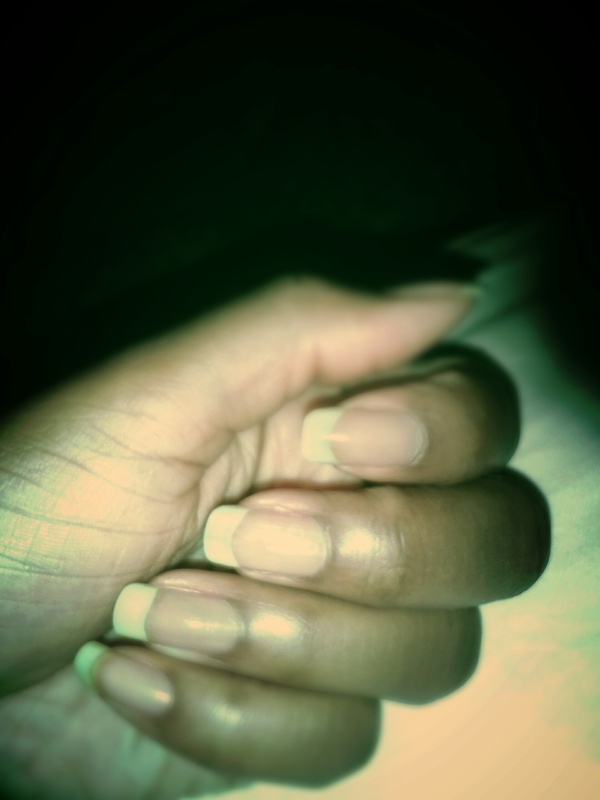 Especially my nails. It seems like no matter how much I moisturize, my poor hands end up super dry with everlasting hangnails. No one wants to see raggly [yea, I said RAGGLY!] fingers or self mutilate with scratchy dead skin! Buy a nail kit. They’re inexpensive and come in super handy [no pun intended.] I got mine at a local drugstore for less than $10 and it has everything I need. Even if you do hit up the salon on a regular, kits are great for maintenance between visits. Soak your hands in warm water. This can be done while you take a bath or by placing your fingers in a shallow bowl for 10 minutes. This will soften the skin and make it easy to remove. You can add oil for some extra luxuriousness. 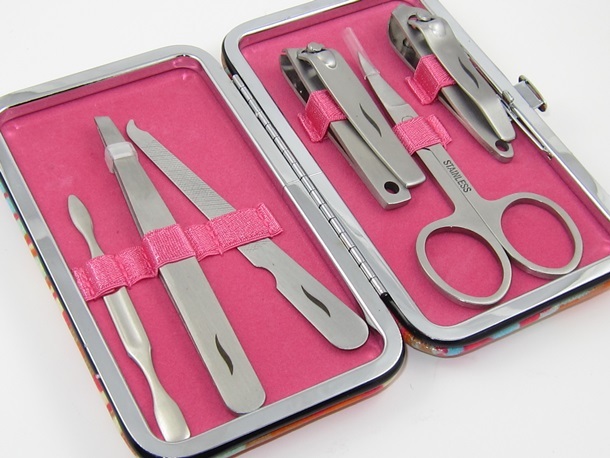 If you have a manicure kit, use your cuticle clippers to chop off the annoying skin all around your nail. Angled nail clippers are just as effective. Be careful to cut just enough to where you’re only getting rid of the dead stuff. It shouldn’t hurt at all. 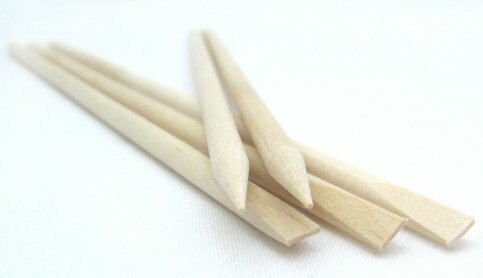 Using the flat/angled end of an orange stick, push back your cuticles. This shouldn’t be painful either. This will make your nail beds look longer and your polish, if applied, will have a nice, neat surface to be applied. What’s a nice paint job if the canvas looks like crap, right? I use a sugar scrub to keep my hands soft between manicures. You can find scrubs online, at a number of drugstores or make your own with sugar and oil[s]. Using a scrub a couple times a week keeps dead skin from building up. Plus it feels amazing! In the winter, it’s especially important to keep your hands clean to ward off the germs that like to hang out in our warm bodies. So lotion your hands as often as you wash them to retain moisture and softness. I recommend a nice, thick cream-like a butter– that’ll really penetrate the layers. Nails need tlc too, so apply an oil, like vitamin E, directly to your nail beds and all around them. You can do this everyday or as often as needed. This helps keep them from splitting and breaking so easily. And say bubye to hangnails. If you’re nails are weak and/or prone to breakage, I’ve also noticed that a coat of clear polish makes them less likely to split. [^^^Just in case you’re wondering if my remedies work, here’s proof!] I hope this helped! I know it helps me get through my frustrations with winter and all the “loveliness” it brings. Plus it’s a little inexpensive treat to self that I can do on the fly right before I polish my nails.